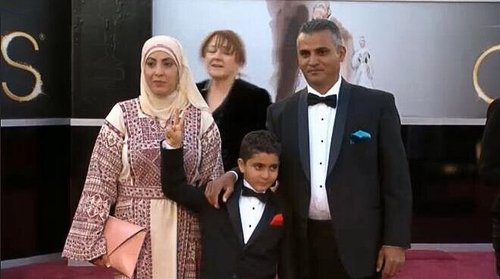 Like many Israel/Palestine activists, I was thrilled to see two thoughtful films on the subject nominated for Best Documentary Oscars – and if I was pulling for any movie at all last Sunday night, it was Emad Burnat and Guy Davidi’s “5 Broken Cameras.” If you haven’t seen it yet, please do. It is, I believe, one of the most important films on Palestine and Palestinians you will ever see. It’s also brilliantly constructed and deeply, almost unbearably moving. It’s available for free on Netflix, so you won’t need to wait for it to come to a theater near you. I’ve been thinking a great deal lately about the differences between “Cameras” and the other nominated Israel/Palestine documentary, “The Gatekeepers.” I’m particularly struck that the latter film, which features interviews with six ex-Shin Bet chiefs, is in many ways as characteristically Israeli as “Cameras” is Palestinian. For me, the most fundamental difference between the two films resides in their literal perspectives: In “Gatekeepers,” we largely view Palestinians from above – mostly through footage taken by the Israeli Air Forces as they surgically strike their targets from the skies. We never see anyone actually get killed – they just seem to disappear in a sudden puff of smoke. By contrast, “Cameras” was filmed on the ground in a Palestinian village. We see Palestinian non-violent protesters getting beaten and shot. In one particularly heartbreaking instance we witness the shooting death of Bassem (“Phil”) Abu-Rahma. Indeed, the moral center of this movie resides in the way it places us firmly in the lives and reality of these Palestinians – we experience their humanity, their tragedies, their courage up close and personally. For all of its depth and nuance, “The Gatekeepers,” is ultimately a film that presents us with the moral angst of a people who are, quite simply, on the side of the oppressor. Many critics have have been struck by the level of ethical soul-searching evidenced by ex-Shin Bet chiefs who were, after all, the heads of Israel’s powerful security establishment – and I fully agree. It is a tribute to the genius of “Gatekeepers” that it gives us a genuine glimpse into the humanity of men who occupy a position of invisibility in Israel’s massive national security apparatus. For me, however, this insight cuts both ways. While we can and should understand the concerns of the real, living flesh and blood human beings behind the Shin Bet, their humanity is ultimately subsumed by an inherently oppressive infrastructural reality. And this reality is much, much larger than these individuals, no matter how deeply they might engage in soul-searching over their actions. This institutional soul-searching is, in fact, a time honored Israeli cultural enterprise – they even have a name for it: “Yorim U’vochim” (“Shoot and Cry”) – a term that was coined in the wake of the Six Day War to describe this uniquely Israeli expression of angst. Indeed, Israelis have produced countless films, books, poetry and essays that struggle deeply over their treatment of Palestinians. But in the end, no amount of individual soul searching, no matter how heartfelt, can itself erase the collective guilt of what Israel has perpetrated – and continues to perpetrate – against Palestinians. I fully agree that this is a complicated situation. But I would add that there is nothing complicated about the institutional oppression that the Shin Bet inflicts on Palestinians. While the fears and pain and moral anguish of Israelis very real, we must be willing to admit that these feelings are largely helpless in the face of a larger infrastructural reality that Israelis have created – and within which they have become subsumed. Critics who condemn those who stand in solidarity with Palestinians often fail to appreciate this point: it is not Israelis to whom we stand in opposition, but rather the oppressive institutions that they have constructed and which we believe threaten the well being and future of Israelis and Palestinians alike. In watching “The Gatekeepers,” I could understand the concerns of men such as Ami Ayalon, Avraham Shalom and Carmi Gillon. 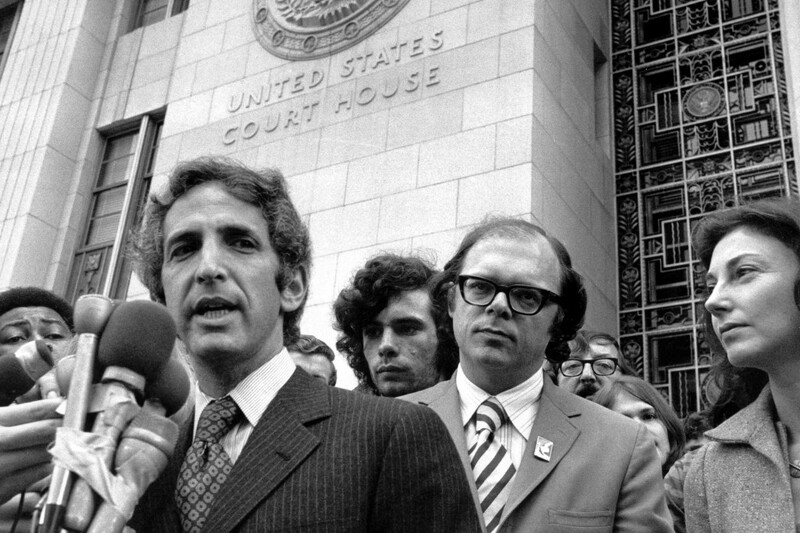 But I never forgot for a second that the organization they led was and remains a profoundly oppressive, even criminal institution – and no amount of soul-searching, no matter how heartfelt can wash away this essential reality. A final note: less than one week before the Academy Awards ceremony, the Israel Defense Forces and the Shin Bet arrested a 30 year Palestinian named Arafat Jaradat, claiming that he threw stones at cars from a nearby settlement. Jaradat was taken first to the Jalameh Interrogation Center in the northern West Bank before being transferred to Megiddo Prison. Four days later, he was dead, tortured to death by the Shin Bet. Jaradat was a student at Al Quds Open University, married with two children (Yara, 4 years old and Mohammad, 3 years old) and was expecting a third child with his wife Dalal. His lawyer, Kamil Sabbagh, who defended him in a court hearing two days before he died, reported that Jaradat was terrified and complained of intense back pain when he saw him. The Shin Bet claimed Jaradat died from cardiac arrest, despite the fact that an initial autopsy indicated he was in fine cardiac health. A subsequent autopsy determined that Jaradat had been beaten with repeated blows to his chest and body and had sustained a total of six broken bones in his spine, arms and legs; his lips lacerated; his face badly bruised. I agree with Dror Moreh: there is a reason the Shin Bet is doing what it is doing. We just disagree what that reason actually is. Their ultimate goal is not simply the security of Israelis, but the security of Israelis maintained through the subjugation of Palestinians. And for all the Israeli soul-searching on this point, this oppression will only make Israel less secure in the long run. 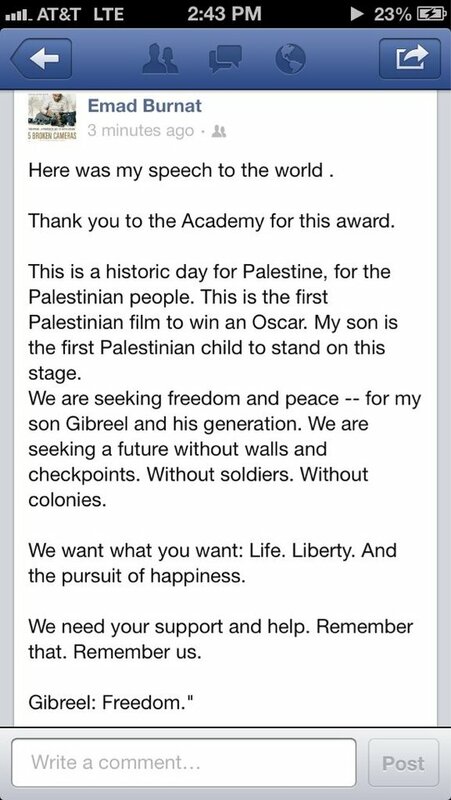 This entry was posted in Human Rights, Israel, Movies, Palestine, Torture on February 27, 2013 by Rabbi Brant Rosen. “Zero Dark Thirty” hasn’t come to Chicago yet, so I can’t weigh in on the controversy surrounding its portrayal of the torture in the Bin Laden raid. Having read countless articles already, however (most notably the pointed criticisms by Glenn Greenwald), I can safely say it’s going to be pretty hard for me to overcome my prejudices going in. I certainly can’t imagine feeling sanguine about a film that gives the mistaken (and dangerous) impression that torture “works.” Still, I’ll do my best to keep an open mind – and offer my thoughts after I’ve actually seen the movie. In the meantime, if you’re looking interested in a film that accurately and powerfully explores torture’s tragic legacy, check out “Beneath the Blindfold,” a new documentary by Evanston-based independent filmmakers Ines Somer and Kathy Berger. The film follows the lives of four torture survivors – a nurse from Africa, an actor from Colombia, A US Navy veteran from Chicago, and a physician from Guatemala – and documents their journeys as they attempt to build new lives, careers, and relationships. Despite the painful fallout from their experiences, we witness each of them becoming empowered to speak out and become public advocates for an end to torture. Click here for Ines’ and Kathy’s recent interview with Jerome McDonnell on WBEZ’s Worldview. This entry was posted in Human Rights, Movies, Torture on December 31, 2012 by Rabbi Brant Rosen.